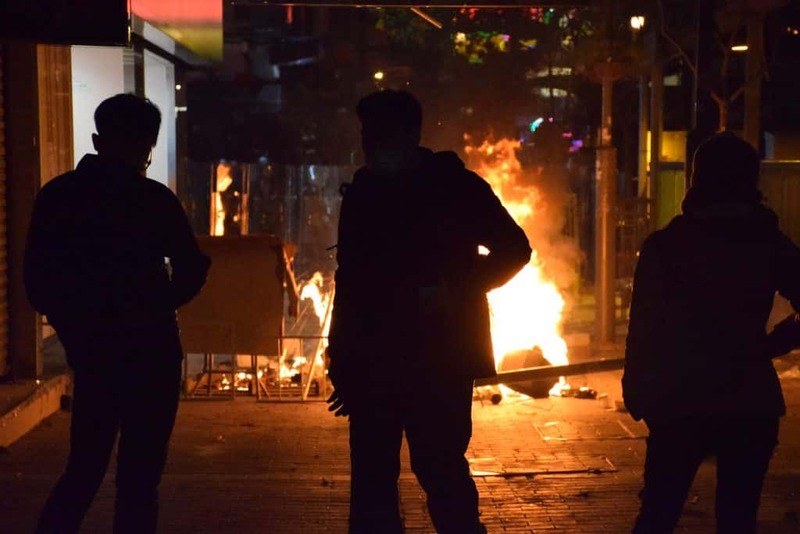 With the increasing number of riots due to violent political protests and social controversies these past few months, civil unrest will likely occur in the United States. Apart from these, the rising unemployed and an underemployed population who sees very little hope in their lives may start a revolution. When a massive civil disorder happens, a series of social and economic meltdown quickly follows like a chain reaction. This causes even more riots, chaos, and hunger, pushing every sane human to think and act at their worst. Almost twenty percent of the United States population use vouchers to purchase food despite the strong economy. Also, a huge percent of young, underpaid, and unemployed millennials got great reasons to feel angry about the “system”, which they keep on blaming. Such anger fuels violence and deep hatred. The discontented mob suggests that the United States is just a few radical words away from civil unrest. Embassies, police stations, state offices, and even shopping malls are likely to fall in the hands of revolutionists at the beginning of a civil war. In the coming weeks, individuals or groups of people will start raiding stores and other private properties to get food, water, medicine, and other things they can use to survive through the whole crisis. Home is one of the safest places to stay in the events of a civil disorder. But one day, intruders may come knocking at your door hoping they could steal some goods, take over your home or cause life-threatening troubles. In a civil war where laws do not seem to carry any weight and help from authorities does not seem reliable, the safety of the whole family is in your hands. Prepare for the looming crisis as early as now. Location plays a major role in keeping your family safe when huge civil unrest breaks out. Rural places will receive the least devastating effect while the urban households stand in the line of fire. 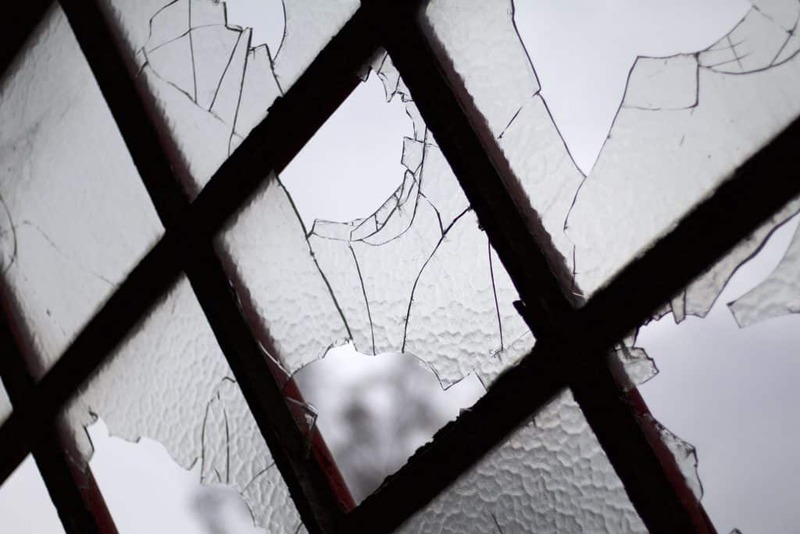 In the wake of civil unrest, looters and intruders will likely target wealthy neighborhoods, gentrified subdivisions, and financial districts near large cities first. Possible early victims include those living in Beverly Hills in Los Angeles, Denver’s Highlands, and Brooklyn. Know the possible epicenters of a riot. Examples of disturbance-hungry places during massive civil unrest include universities, college campuses, public libraries, historical buildings, and government establishments. Remember that these rioters will target symbols of power and wealth. They will ruin expensive cars, high-end restaurants, luxury hotels, and lavish condominiums. Preppers must maintain a low profile. Do not give other people the impression that you belong to the upper class. Avoid wearing expensive clothes, avoid living in high-end villages, avoid eating in fancy restaurants, and avoid driving luxury cars. When you hear reports from media coverage that civil unrest breaks out, get out of the city and move somewhere else with your family. Consider moving in your parents’ or relatives’ house in rural areas and start barricading the place. Most civil disorders happen in small areas, and if you stay out of it, you will be safe. But if the civil unrest grows bigger than it expanded up to your area, you may need to fortify the defenses of your home. If your gate appears solid enough, invaders may climb your fences to get through. Those who own a house with a fence can start doing some work at the perimeter of their property. Fences serve as a mental barrier. Some burglars will assume that it looks more difficult to invade your house if it is protected by a fence. It lessens the chance of escape. Thinking that they can’t escape easily as they don’t know everything inside the property, looters will likely target a different house. Fences can deal damage and death to invaders. If they don’t take utmost care while penetrating your lawn, they will fall victim to the worst disadvantage fences can offer. Fences, even those that appear short and made of wood already serves as a hurdle. This line of defense may add a boost to your security. But if you feel like you need to upgrade your fencing, if you still got the time, we recommend some great fences for your home defense. 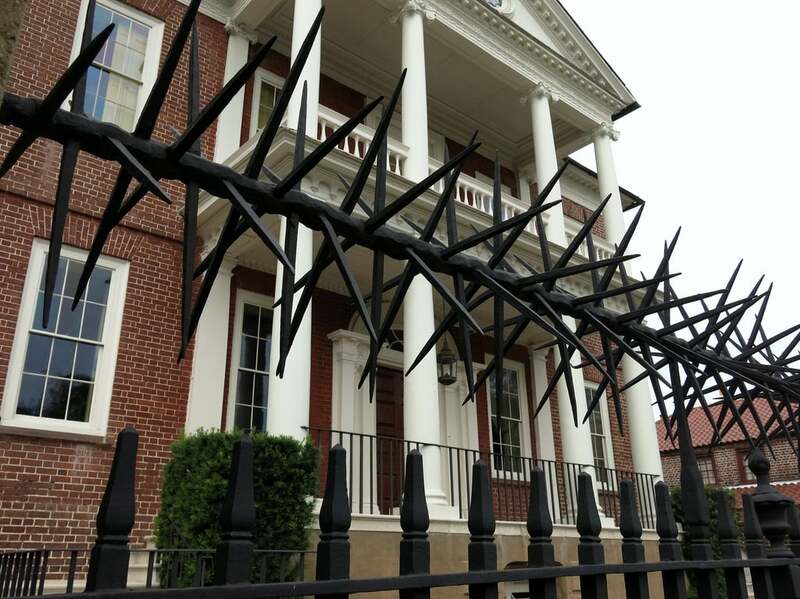 Metal security fences do a great job in preventing invaders. Wire mesh security fences also serve its purpose. Pick a top with spikes or pointed metal to impale invaders while rushing their way up. Make sure to install the fence deep in the ground with concrete. The gate should also match the strength of your fences. 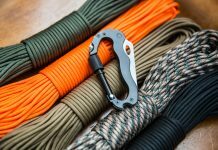 Moreover, pick a kind of material that won’t get cut easily by bolt cutters. Take note that if you strip off invaders with a place to hide, you get to do the same thing to yourself and your family. However, this will help detect the bad guys easily giving you enough time to pick the guns and tell your kids to hide somewhere safe. Preppers should add barbed wires at the top of the fences and in the landing spot. You can conceal them with concrete or bushes. Planting thorny plants behind the fences also boosts the defense. Both may injure the attackers before they can get close to your home. Also, try installing lighting and night vision CCTV cameras at your front yard. Bad wolves can easily blow down a house built with straws and wood. Also, such walls can’t protect your family from stray bullets. The windows need fortification as well. Before civil unrest happens, upgrade to concrete walls, sturdier doors, and highly secured windows. As most concrete and brick walls seem hard to penetrate, you can focus on your door and window security. You can choose in many different ways to burglar-proof your doors and windows. All the doors in your house should be kick-proof. A group of organized invaders can bring it down, but your door should at least buy some time to let the kids go to a safe room and for you to get your guns. Use solid wood or a solid wood core. Fiberglass makes a great choice as well. If you choose a metal door to invest in one with interior reinforcement and lock block. This prevents thieves from bending it open with a crowbar or a car jack. You can also trust your life with reinforced steel doors. However, you need to spend a lot of time and money to prevent it from rusting. Every prepper must remember that the strength of a door is as equal as its lock. If you go for a steel door, you definitely need locks as sturdy as the material you chose for your door. 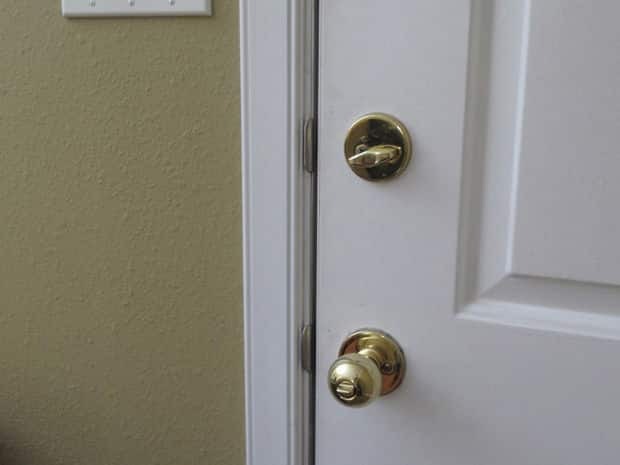 Double deadbolts and double cylinder locks are highly recommended to shield your family from an infiltration during a civil unrest. Windows invite a lot of bad elements including home invaders. You should not forget blocking this vulnerable part of your home in case of a civil war. However, patching your windows with wood or using your furniture to cover the entry won’t do any help. When the economy stumbles down, desperate people will do their best to compromise a weak defense and steal what they want. Luckily, there are plenty of window defense options for you to choose from. First, you may consider a windowless home. When the worst case scenario hits the country, some old folks would barricade their home’s point of entry by replacing their windows with bricks and cement. This serves as a quick home defense operation. While reinforced glass will give you enough time to prepare for an intruder, steel bars will add further security. You may also need to do the same on your second-floor windows. Just make sure to leave an escape route in case of fire. In your yard, you can make use of decoys and warning signs to discourage the attackers. Other mental barriers work so consider using them when civil unrest strikes in your area. Just make sure you do it right as messing up could lead to a disadvantage. 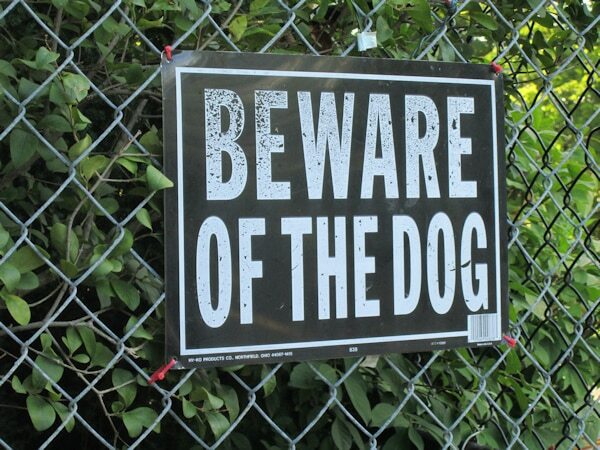 Fortunately, you can use these beware of dog signs even if you don’t own one. Apart from a sign, you can place a dog house somewhere in your yard where outsiders can clearly see. Add a huge food bowl and a huge bone to give them a picture of a giant canine ready to sink its teeth on a home raider’s face. But in a famine infested place, a huge dog makes a good meal for survivors. If the civil disorder lasted for a very long time, this tactic may backfire. Make it seem like a gang already busted in and raided your home. Make use of spray paints and leave some worn out clothes in the yard. 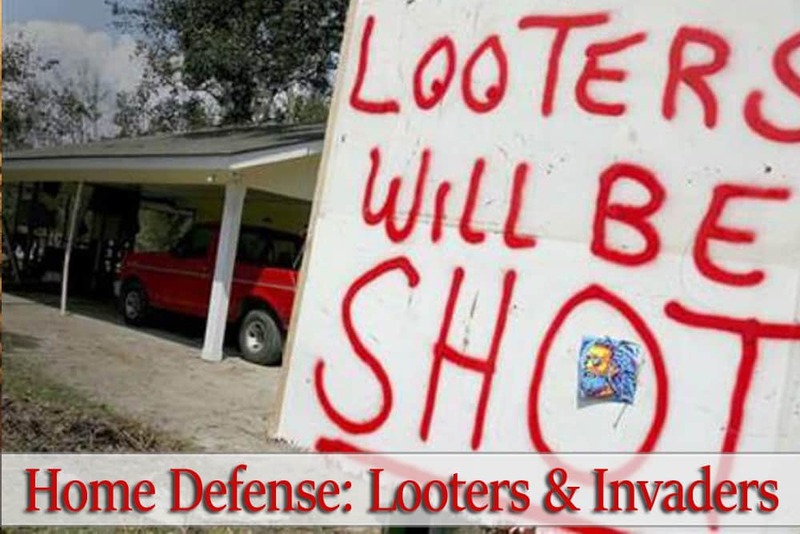 Most likely, looters will avoid your house and look for other targets. 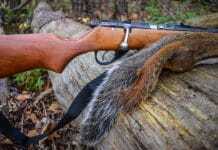 However, continue to stay on guard and prepare to defend the place if the decoy fails to thwart intruders. 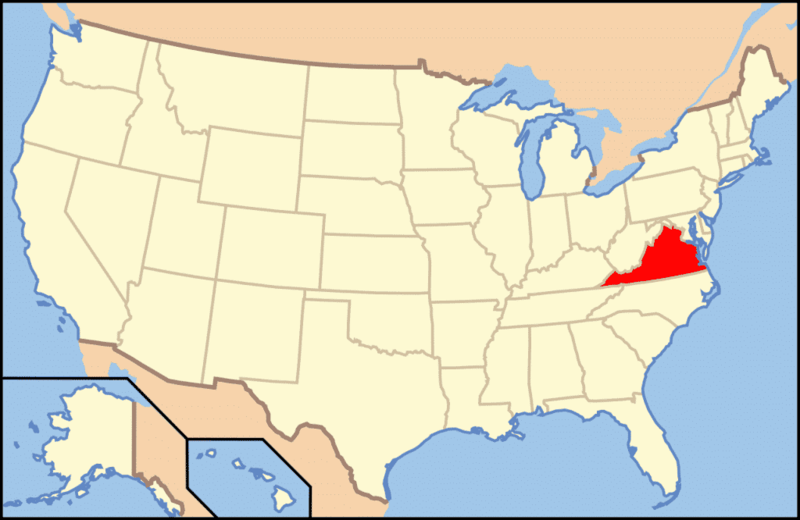 Laws for firearms vary from state to state. Research about state laws and see if you can use guns to defend yourself in case of an invasion. 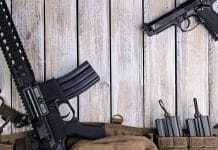 Apart from guns, there are plenty of other tactical weapons you can make use for self-defense. Most people won’t think of owning a great flashlight until they get stuck in a scenario when they needed one. Tactical flashlights does not only serve as an alternative to the absence of room lighting, but they also function as effective tactical weapons. 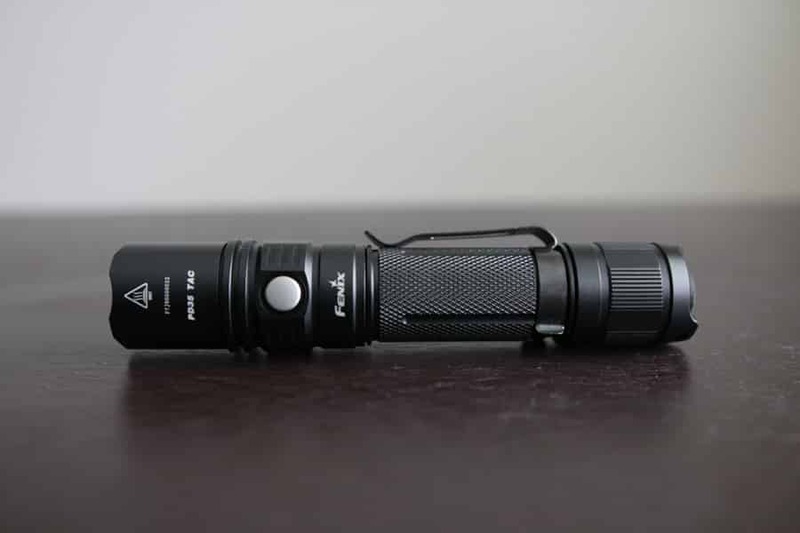 Although they seem harmless, many tactical flashlights for self-defense nowadays can deal great damage to attackers. Some of these tactical lights showcase other features such as stun gun and a hidden survivalist knife. Some are also engineered as a mace you can swing around to use to hit your opponents. Tactical flashlights also work great with guns and knives. These flashlights can shower disorienting beams with strength of up to 500 lumens. When the opponent is shocked from the discombobulating light, it gives you plenty of time to follow it up with a free attack. Shotguns may cause a surefire kill. However, it takes time to reload and it may injure your shoulders due to the recoil. However, you can easily fire handguns, and most of them carry a decent amount of bullets in a magazine. 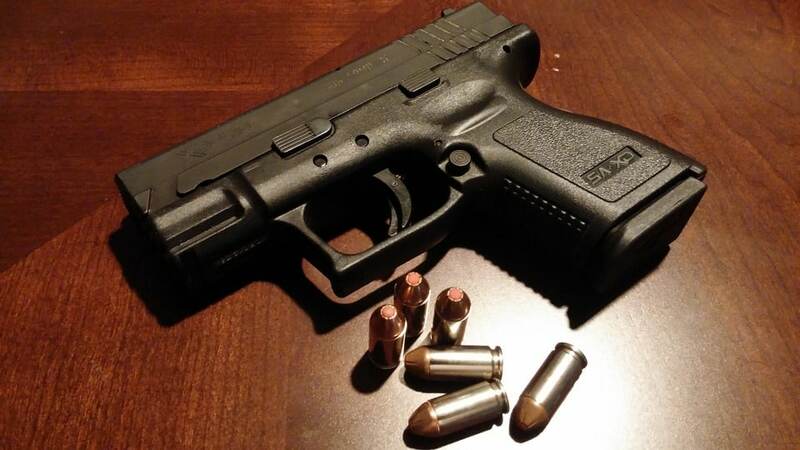 Choose lightweight handguns you can easily hide in a safe place. Consider buying a handgun silencer to not attract other outsiders. Equip each family member with a handy knife so that they can defend themselves if the situation arrises for it. Apart from self-defense, such knives serve different purposes such as a tool for preparing food, cutting some objects, and more. 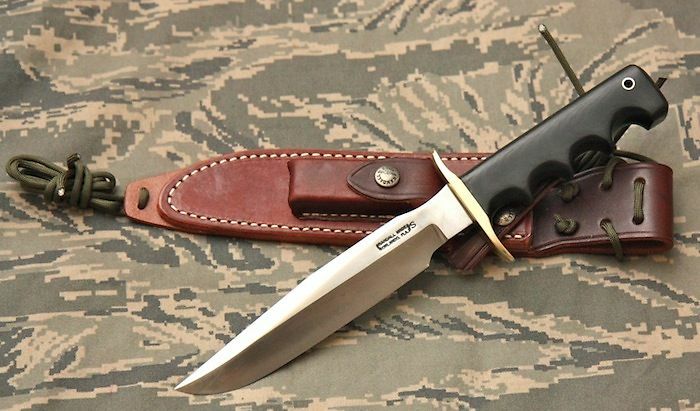 When it all goes down to a close combat, this survivalist knife can pretty much save your life. You can hide it in your pocket or in a secret holster and use the element of surprise to gain an advantage over your attacker. A prepper must play dirty if he needs to. After all, the safety of your family depends on the home defense tactics you implement. 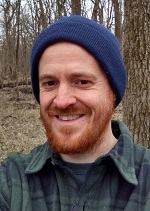 If you don’t feel confident about decoys and firing a gun, use your wife or kids’ craftiness and ask them to help you out with setting traps. As mentioned above, these spiked wars work effectively if strategically placed in different areas of your property such as behind walls. 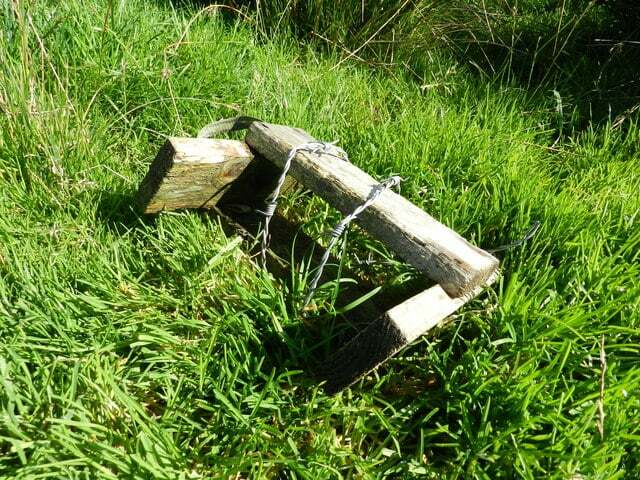 You can also lay this trap near the trees where invaders can’t see them. When laying traps, make sure that invaders won’t notice them. You can place these bed of nails if the most unsuspecting places of your lawn and house. Getting their house burned down makes one of the biggest worries of homeowners when a civil disorder breaks out. If you decide to defend your home, always keep fire extinguishers in different parts of the household. Make sure they work and that you instructed everyone on how to use it. 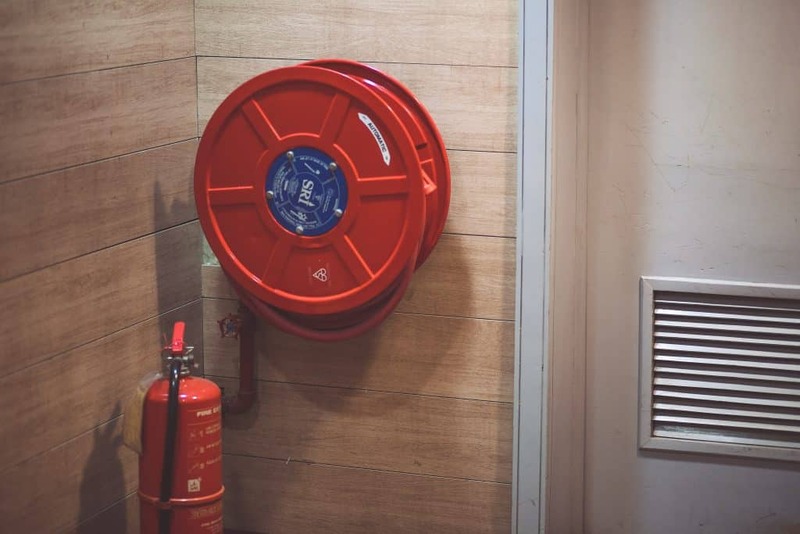 If you don’t want to get to the point of grabbing the fire extinguishers, clean up the house and hide flammable materials away. Also, transfer materials that can easily catch fire to somewhere isolated. If you can’t afford a bunker, a safe room will do just fine. Somewhere in your home, choose an ideal area to set it up. Disguise plays a huge factor in a successful safe room as it serves as one of your family’s last resort. 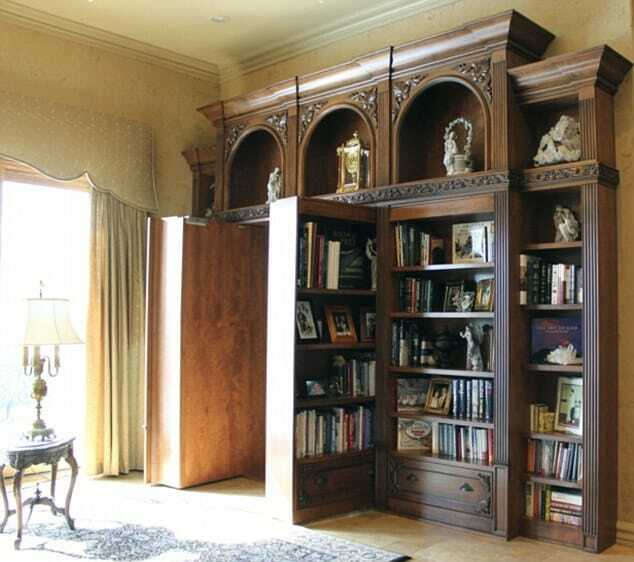 You can hide the safe room in your library behind the bookshelves, in the basement with the passage concealed by a carpet, or in the master’s bedroom at the back of the closet. Vast mirrors, portraits, wallpapers, and wall decors can perfectly obscure your safe room. A blast-proof, kick-proof, and soundproof door with double deadbolts. A phone and charger you can use to contact others for help. Emergency food, canned goods, and other food packages that will last for over a month. A secret passage to escape in case of detection or fire. A tactical flashlight, a firearm, and other self-defense weapons in case the intruders found the hidden safe room. A computer where you can monitor the rest of the house through hidden CCTV cameras. 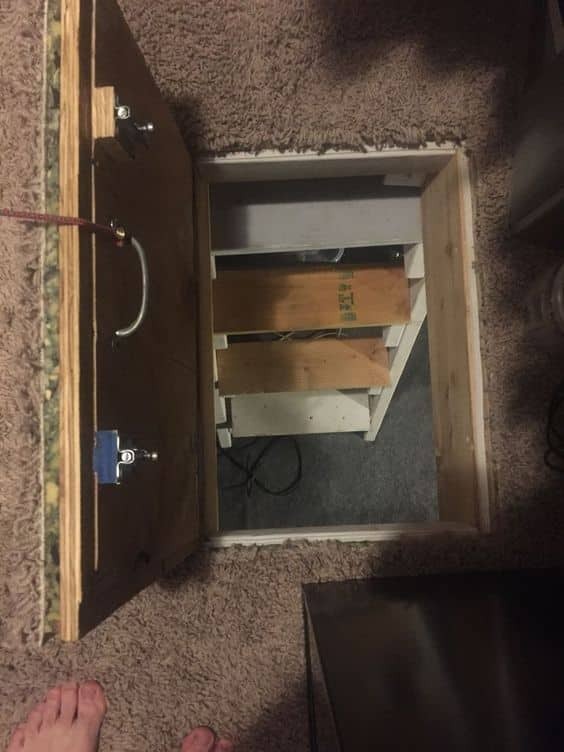 A safe room does not need to be fancy. But for your family’s comfort during civil unrest, you can start building it little by little. You forgot to mention a way to isolate and store human waste. If you end up in your safe room for much time at all you’ll need it. Stack several 5 gallon buckets with airtight lids and a 9 pack of toilet paper.